Hello! 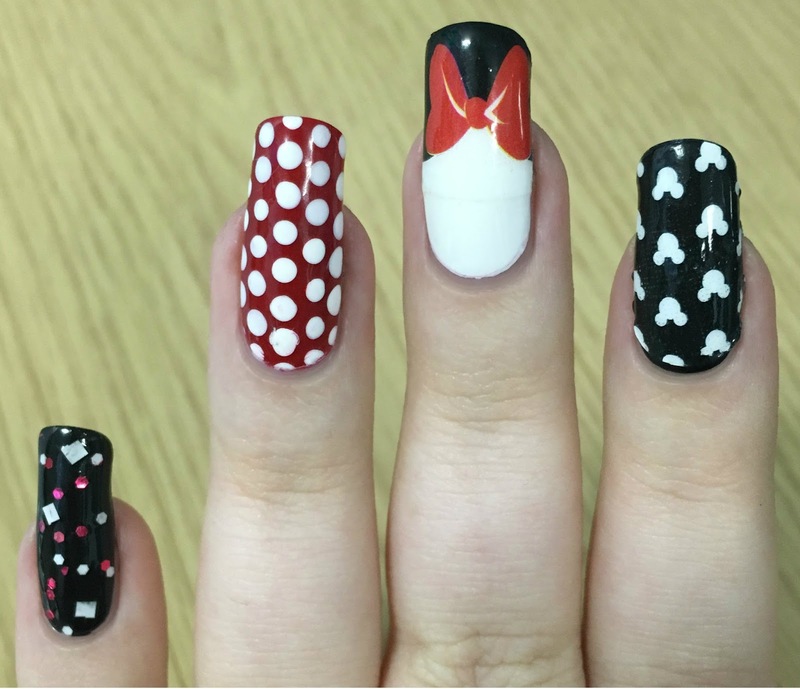 Today I have some fun Minnie Mouse inspired nails to share with you. Saturday just gone was my nail bestie Kirsty's (FairyTales Nails) gorgeous little girl Lexi's 2nd Birthday. Lexi had an amazing Minnie Mouse themed day, and me and Kirsty decided to do nails to match. I absolutely love Disney and Minnie Mouse so I've been waiting for an excuse to do these! Read on to find out more! I started by painting my index and pinky nails with Pretty Serious 'Absence', my thumb and ring nails with OPI 'Big Apple Red', and my midldle nail with China Glaze 'White on White'. All three are shown below without topcoat. Using China Glaze 'White on White' and a dotting tool, I added white dots onto my thumb and ring nails to create the iconic Minnie Mouse polka dots. I also added a coat of OPI 'Minnie Style' onto my pinky nail. Then, I cheated. To create the looks on my index and middle fingers, I used nail stickers. My Mum got me these absolutely ages ago but I hadn't used them yet as I just didn't want to use them up! Here's a quick look at the full packet. I added a black and white Mickey head sticker to my index nail, and Minnie's big red bow to my middle finger. 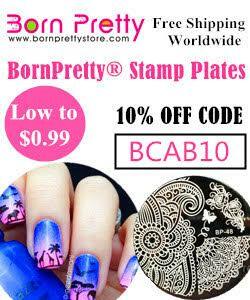 I cut them to shape, stuck them to my nails, and removed any excess. I did this a little bit too precisely though, as they shrunk after topcoating - thank goodness I had my base colours on so you can't quite tell! What do you think? I'm actually really happy with how these came out! I wasn't even sure what I was going to do until I had a scout through my nail art box and polishes at the last minute. I do have a mini set of pink OPI Minnie Mouse polishes that I was thinking of using, but I ended up channeling red Minnie this time! Lexi said my nails were pretty, so that's a win in my eyes! I love this! It's obviously Minnie Mouse without being over the top. This is adorable! I really like the design with the giant bow- it's Minnie but not too over the top. I'm not much of a fan of wraps, but you utilized these beautifully!! So cuteeeeee mani. Love the bow. Really adorable. How cute! The nail wraps look perfectly natural, and I love the perfect dotticure on the ring finger. How cute is this! I really admire your dots, they're so uniform. The stickers are adorable! These are adorable! 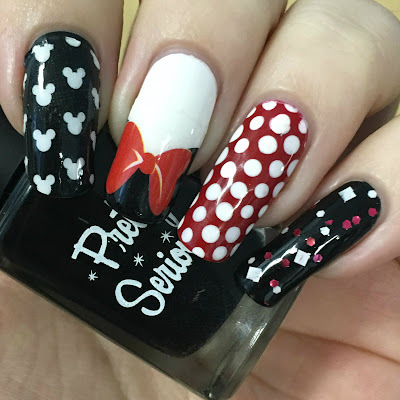 I love minnie mouse nail art! This is so cute! I want to go to Disney World now! These are brilliant, your dotticure is perfect! Ahh! How fun!! They should offer this design at a salon in Disney World. LOL! Oh my gosh, I love this manicure! If i ever go to Disney land again....I am doing this on my nails! I so need to try this design! Love Minnie Mouse!